So…I ate my veggie lunch “meat” sandwich and drank my Crystal Light and headed toward the Mackey cemeteries, with The Diviners by Libba Bray on the CD player. 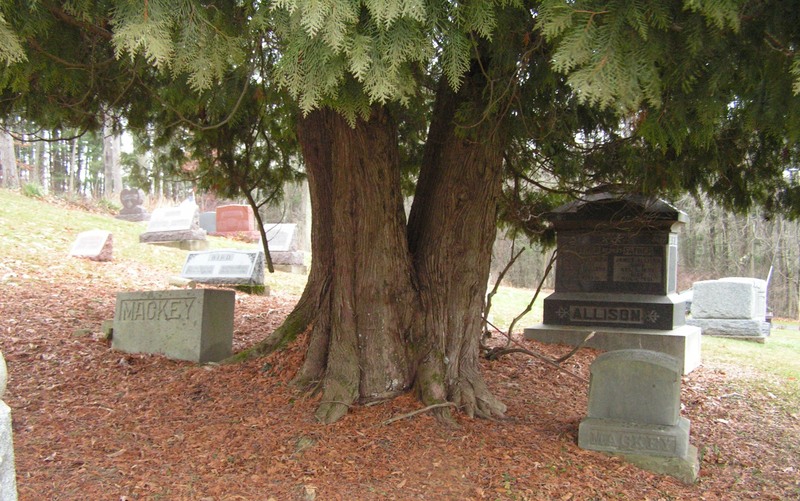 We have two Mackey cemeteries listed in our book: one is in Richland Township, and the other is in Monroe Township. As I drove down ever muddy and steep country roads, I realized that I was probably not going to find the first cemetery. I stopped at a farm house to ask for assistance, but they said that they have never heard of the Mackey cemetery. So, I headed for the second one near Welcome. I had the same bad luck that I had with the first Mackey cemetery. Those visits were a bust, but on my way to the second Mackey cemetery, I found the Welcome Cemetery. 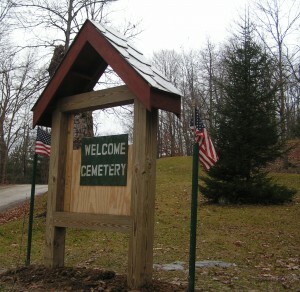 It is located on Township Road 257 just past Welcome. 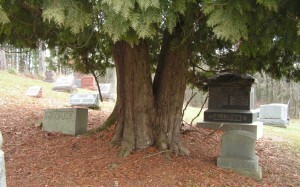 The stones are listed on the Find a Grave site, but the pictures below give you an idea of what the cemetery is like. Oh yeah, it is up a steep hill, so if you have difficulty walking on this type of terrain, you can drive up the hill. As you can see in the picture below, I found some Mackeys in this cemetery. This entry was posted in Cemetery Visits, Lunch and a Cemetery, Monroe Township and tagged cemeteries, Holmes County, Holmes County District Public Library, Monroe Township, Ohio, Welcome, Welcome Cemetery. Bookmark the permalink.